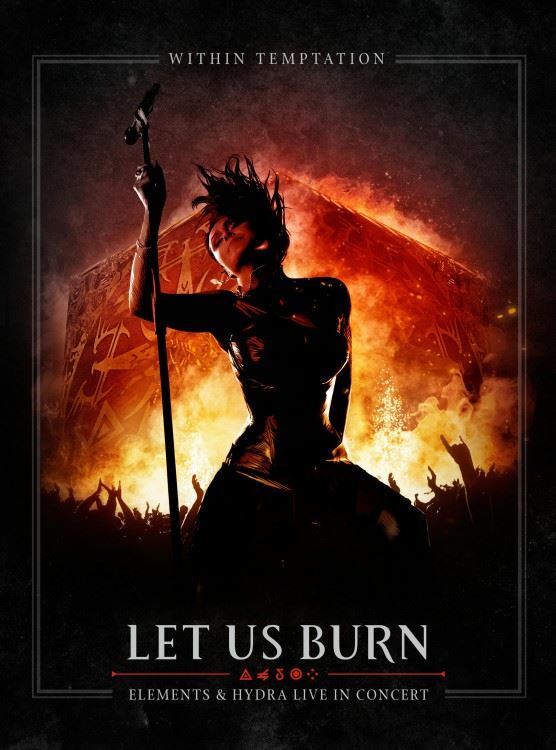 Dutch symphonic rock band WITHIN TEMPTATION will release a new live DVD/Blu-ray/2CD, "Let Us Burn - Elements & Hydra Live In Concert", on November 14. The set features two of WITHIN TEMPTATION's most-talked-about arena shows ever. The two dates are 2012's resplendent 15th birthday "Elements" concert and the final night of the "Hydra" European arena tour at Amsterdam's Heineken Music Hall in May 2014. When it comes to the live experience, WITHIN TEMPTATION's status is of a league extraordinaire. These two performances showcase every nuance of their fierce reputation plus stunning imagery and special FX, including even giant fire-breathing dragons! In November 2012, WITHIN TEMPTATION challenged themselves to create one of their most impressive arena shows ever, to celebrate the band's 15th birthday. The result was the one-off symphonic "Elements" show, held at the Sportpaleis in Antwerp. A dazzling event with 15,000 fans, the band's dream came to life. Newly inspired, the group went forth to write their critically acclaimed sixth studio album, "Hydra". 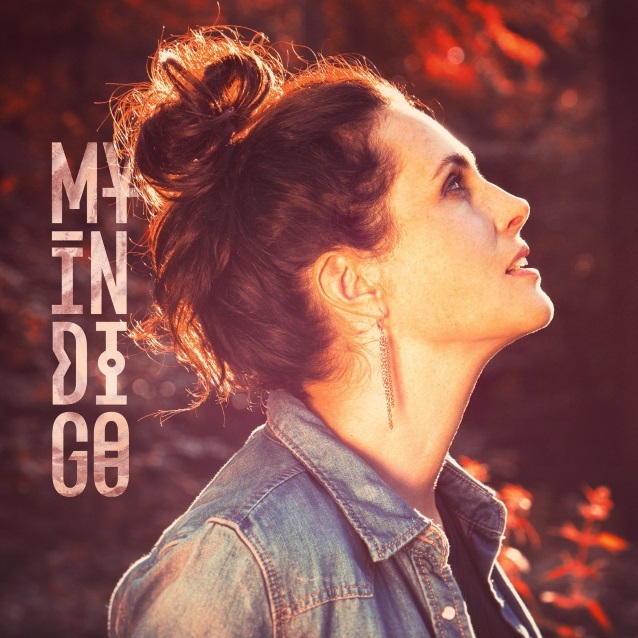 The official video for the song "My Indigo" from WITHIN TEMPTATION frontwoman Sharon Den Adel's solo project, also called MY INDIGO, can be seen below. The singer announced the new project's existence via a video message on Facebook in which she described the MY INDIGO material as "very personal" and revealed that composing the songs was a therapeutic experience that helped he deal with an undisclosed family "crisis." She said in a statement: "For many years, we've been touring and every time we came home, I used to start writing songs almost immediately and was happy to do so. After the last tour, I tried to do the same, but it wasn't the same. Eventually I found myself in a crisis which was bigger than just not being able to write songs. The years of touring and working under a certain pressure took its toll and besides that there were things in my personal life I had to deal with. "I really took time off, but when I started writing again, it was something totally different than WT, but this was what I needed and I embraced it. One song led to another and it turned into a whole album. I gave it a name and it's called MY INDIGO. MY INDIGO is about my journey these last few years and I would like to share it with you. "Besides all of this, I'm happy to tell you that my journey has led me back to WITHIN TEMPTATION. There will be a new album and a tour but more about that in the near future. "My first single [has just been] released and this song is the core of my album and has the same name: 'My Indigo'. "'My Indigo' is not at all like WITHIN TEMPTATION and it wasn't meant to be that at all. I wrote it first of all for myself, but nevertheless I hope you'll enjoy it as well! Alors je ne connais pas bien WT mais de ce que je sais Sharon n'a pas besoin de mettre autant d'effets sur sa voix. On dirait un truc ultra trafiqué de gagnante de la Star Academy, vous savez avec tous ces infects filtres type rnb et cette production chargée de manière artificielle. Vraiment pas terrible... J'aime pas.